The Dutch Quarter is a small area of the town of Flekkefjord that had a strong relationship with the Netherlands in the 1500 and 1600's. The old town is called "Hollenderbyen", which means the Holland town, is made up of old white wooden houses in small lane ways around the city of Flekkefjord. You will always find freshly painted buildings, flowers on doors and entrances making it a picturesque place to visit. There are many boat houses in the harbour at Grisefjorden which adds a nice mix to the scenery. Festival in Hollenderbyen Flekkefjord Norway. "Hollenderbyen" got its name because Flekkefjord had active trade with Holland (Netherlands) in 1500 - and 1600's and several dutch people moved to Flekkefjord back then. Among the main commodities they traded with were lumber and fish products. The Dutch Quarter as it is today was built as a result of herring fishing in the 1800's where large catches led many fishermen to wealth and they built houses from the profits. It is said that part of the city of Amsterdam in the Netherlands is built on timber from Flekkefjord. It is further stated that stones from Flekkefjord contributed to the building of Amsterdam's international airport - Schiphol. Around town you will find large posters with interesting and funny glimpses of Dutch history. Several places in Flekkefjord have a map so you can enjoy a self-guided walking among old houses. 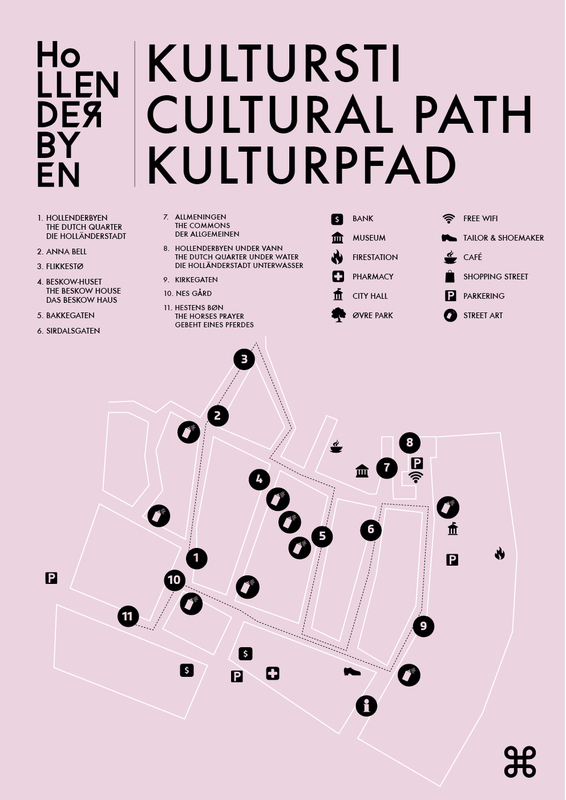 Pop by the Tourist Office or download a map of Hollenderbyen. The Flekkefjord Museum is an old merchant’s house in the old Dutch section of Flekkefjord. The old merchant’s house with two apartments are used as a museum which displays art from Tatjana Lars Kristian Gulbrandsen as well as other local artists. The museum is open all summer and thereafter by request. The special Grand Hotell Flekkefjord is where The Dutch Quarter begins. The hotel was built in 1897 in classic Swiss style with octagonal towers which are among the reasons why the hotel is one of city&apos;s most photographed buildings. The Grand Hotell has its own restaurant called Grand Bistro and the hotel&apos;s rooms are old Swiss style with modern facilities including wifi, tv and bathrooms. Several of the houses in The Dutch Quarter is now decorated with fantastic street art both by national and international artists. 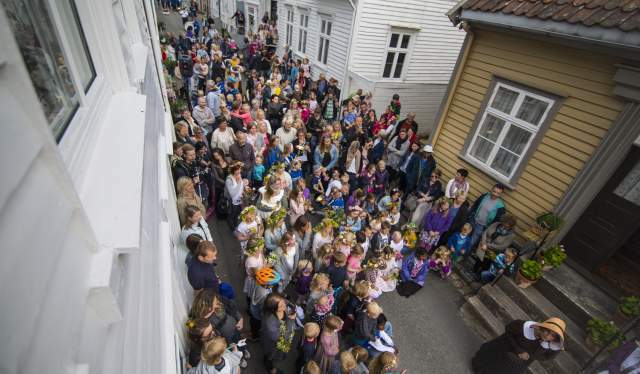 This makes a stroll through the streets of Flekkefjord even more memorable.